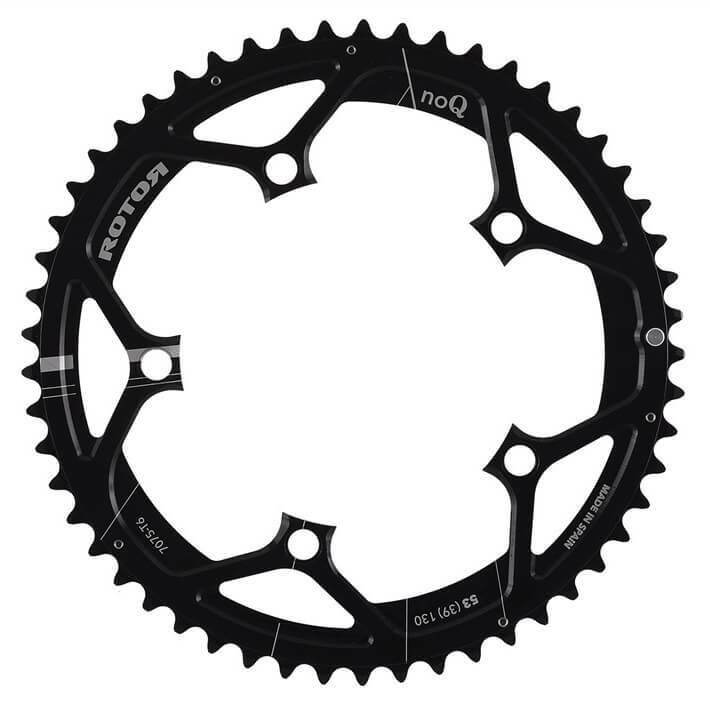 If you’re looking for a chainring that is light, strong and offers excellent shifting, the ROTOR NoQ Outer Chainring is a great choice. These rings work perfectly with ROTOR cranks, including the ROTOR INpower and 2INpower power meters. The rings are made out of CNC-machined, 7075-T6 aluminum alloy and come in a 110 BCD. The NoQ ring is compatible with all 5-bolt, 9, 10 and 11 speed groupsets.